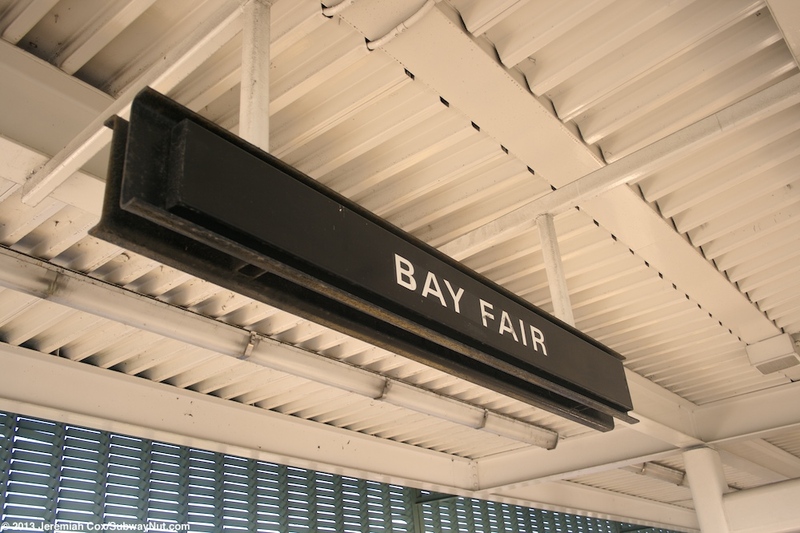 Bay Fair Station opened on September 11, 1972 on the original Fremont to MacArthur Line. 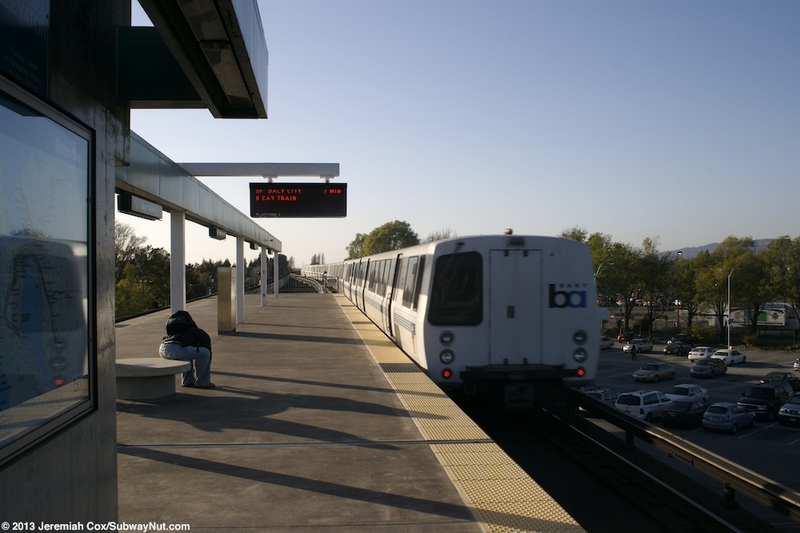 On May 10, 1997 the branch to Dublin/Pleasanton and the station become a transfer point between Daily City—Dublin/Pleasanton Line and the Fremont—Richmond and Fremont—Daily City Lines. 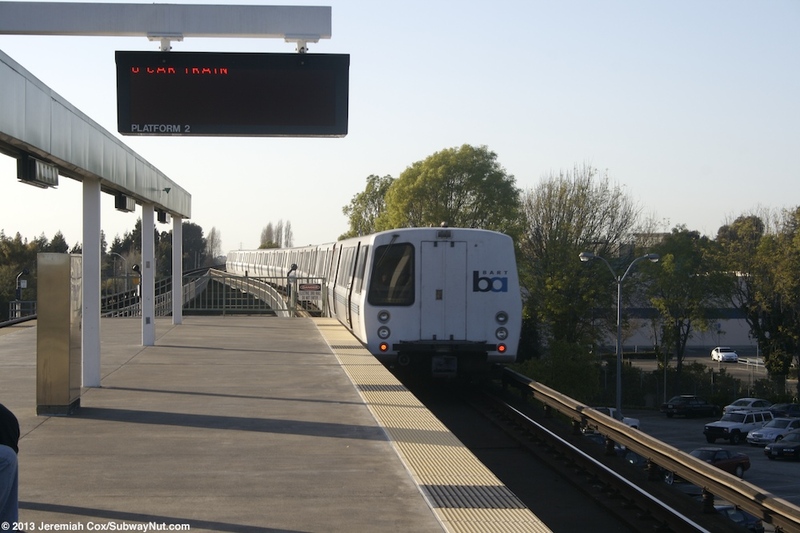 Luckily the station was built with a single island platform to facilitate this transferring. 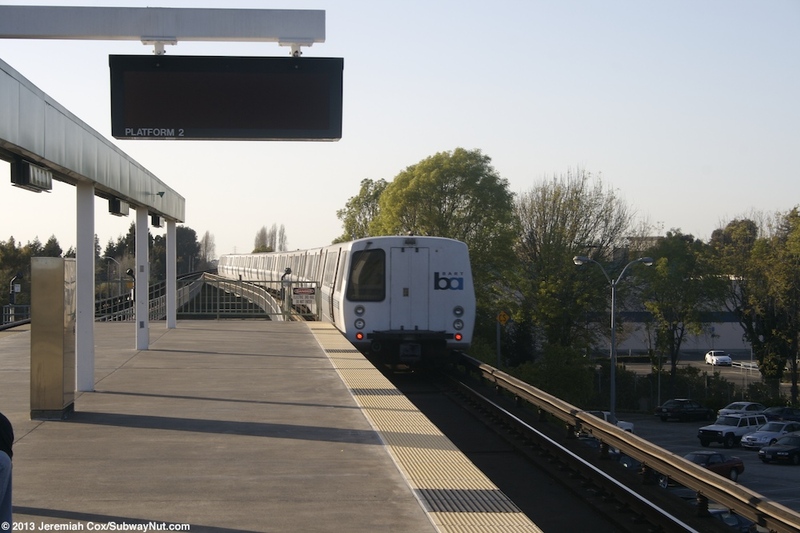 This island platform is located on a concrete ariel guideway parallel to a freight track. 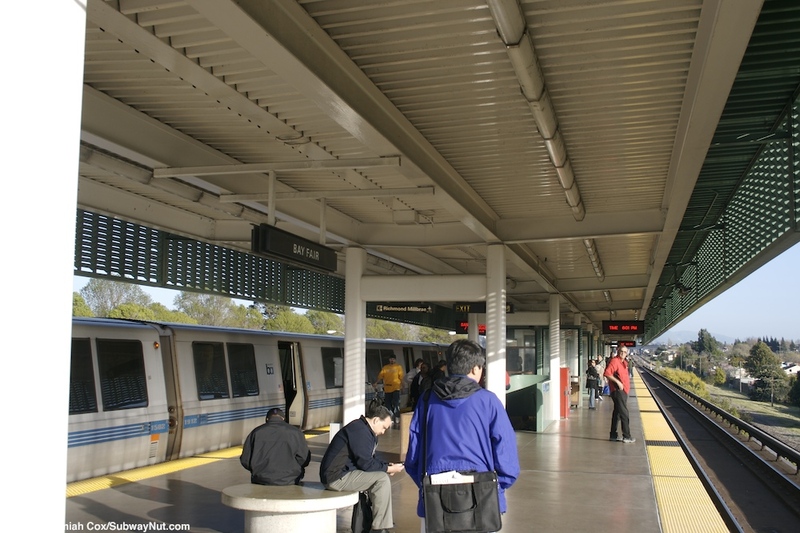 This platform has a green canopy held up by white support beams in the middle of the platform where two staircases and an escalator lead down to the main fare control building beneath the tracks. 1,641. 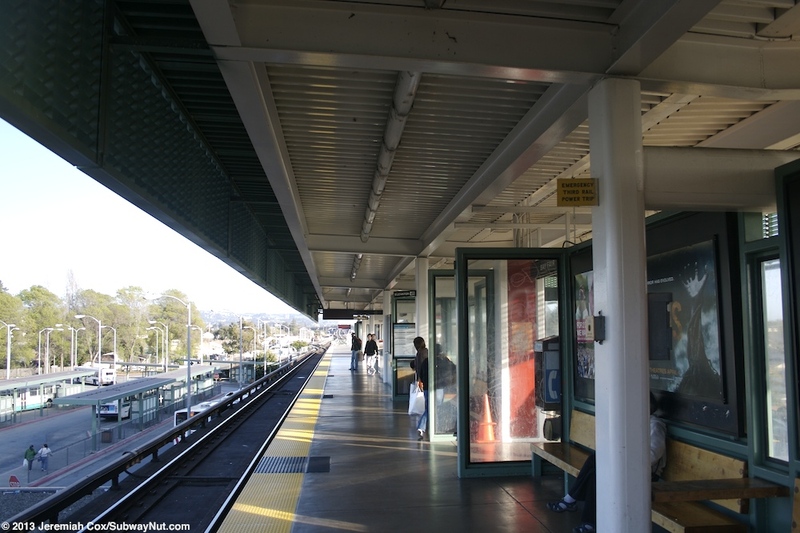 The elevator shaft is separate from this building and the concrete structure is at the northern end of the platform with its own fare gate leading down to the plaza below. 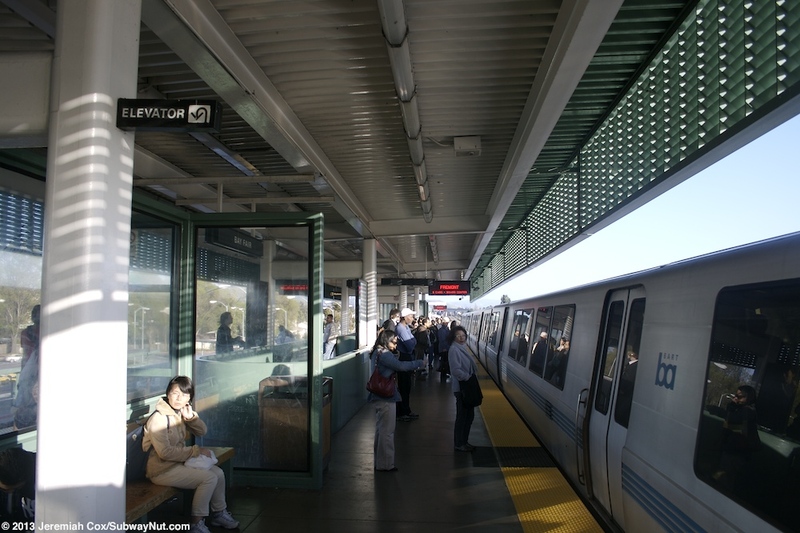 This main fare control building is relatively large with a green roof and leads out to a bus loop three lanes for buses and four long, train station like canopies. Beyond the bus loop are three parking lots. 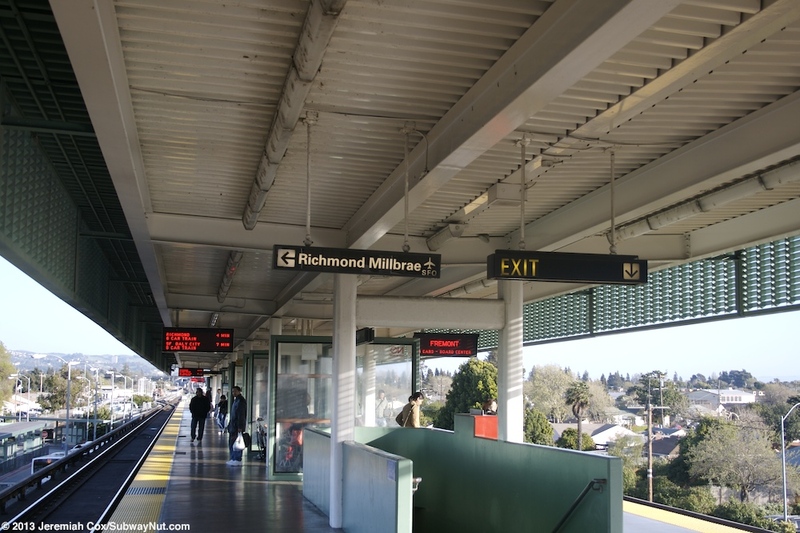 An underpass leads under the adjacent freight track to two more, larger parking lots with a total of 1,641 parking spaces charging a $1.00 fee.